Few names in history evoke as much fear as “Jack the Ripper”, a notorious figure that preyed on London in the late 1880’s. 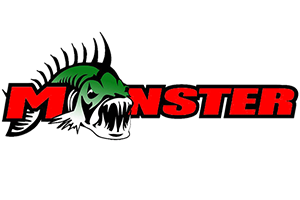 Over 100 years later, the name of Gary Dobyns evokes fear too – in those going up against Gary and his ripbaits in Western tournaments. That’s because Gary Dobyns has won well over one million off his competitors, a good chunk of it by ripping them with hard plastic-lipped ripbaits. Q: Gary, you’ve recently had some newsworthy success with ripbaits. I’d like to ask you more about ripbaits today Gary. To set the scene, you rip with a 7 foot Loomis CBR845 baitcasting rod, 6:1 reel and primarily 10 lb line, either monofilament or Yamamoto Sugoi fluorocarbon which lets you get a foot or two deeper than mono. On the rod, does it serve any other purpose – crankbaits, topwater or whatever? GD: Russ, this is the only rod model I rip with, using 10 lb test for ordinary ripbaits, and 12 lb test for larger ripbaits. I also throw a lot of small crankbaits with this rod. However, I do not throw big cranks with this rod. For larger crankbaits, I step up to the Loomis CBR847 rod. The ripbait rod (CBR845) is also perfect for small poppers. So, the G. Loomis CBR845 crankbait rod is universal in that it can cover ripbaits, small crankbaits and small topwater poppers in one rod model. Q: Gary, I know you rip more than 90% of the time with Lucky Craft baits. So let’s limit this article to the Lucky Crafts you use most often. What can you tell us about each of the Lucky Craft ripbaits you use, Gary? I use the deep divers more often earlier in the year, because the fish are deeper then, and the two deepest models are the Staysee and the Bevy Shad. As fish come up real shallow, the Flash Minnow and the Pointer 78 are the shallowest models. The Pointer 128, being a big bait, I use it for brawling with big shallow largemouth. What causes me to use one model or another is that I am trying to reach different water columns where fish are stacked. The difference of getting my ripbait a couple of feet deeper or shallower is what makes the difference between getting bit or not. Q: Gary, sometimes a bait gets categorized as a smallmouth killer or a spotted bass killer, or other species-specific usage. 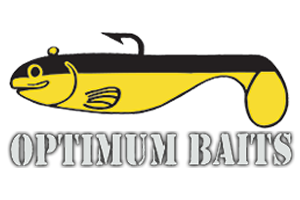 Do you think ripbaits have a specific appeal to smallmouth, spotted bass or largemouth? GD: You’ve caught me by surprise with that question, Russ. Honestly, I’ve never made a species distinction when it comes to ripbaits. Ripbaits have universal appeal to all three bass species. Using ripbaits, I’ve never noticed a difference in catchability between largemouth, smallmouth or spotted bass. Q: Gary, some anglers mention having a good ripbait bite first thing in the morning, and then have it fade out and die on them by mid-morning. Is that something you’ve seen about the ripbait bite? Is the ripbait bite similar to what many have experienced with an early morning topwater bite, that it’s usually good at first light, and shuts down once the sun hits the water? GD: In spring and winter, the ripbait bite can last all day. By late spring and early summer, an early morning ripbait bite can be very true. Especially in clear warm water, the ripbait bite is easier in low light, a lot better early in the morning and late in the evening. Once the sun is overhead and water is clear, the ripbait bite can become harder. This is basically true of any reaction bait bite. Q: Gary, what would you say is the biggest error you see anglers make with ripbaits? Not tuning them. Anglers should test their ripbaits in a pool or clear water. They should swim perfectly straight on a steady retrieve. Otherwise, when you rip them, they’ll roll up on one side or another, and you won’t get the depth or the action you need out of the ripbait. maintaining too much line tension. Between rips, many anglers keep too much line tension, which keeps the lure creeping forward ever so slowly due to line tension. When a ripbait pauses, the fish needs to see a dead still lure. I move the rod tip back toward the bait to give a little slack after every rip, which causes the lure to come to a dead stop. Q: Overall, what action are you trying to create with a ripbait, Gary? What impression are you trying to make on the bass with a ripbait? GD: I am creating a rip-pause action. Actually, the rip is more like a pop (how you would pop a popper is a good idea for those who haven’t ripped yet) – and always the pause, which is when you get bit. I’ll mix the number of pops from one to three – pop, pop, pop, pause, pop, pause, pop, pop, pause. I deploy an erratic action. The impression I am trying to make on a bass is that the ripbait is crippled or injured. Again, you can think of this as the same sort of impression we often try to make on the surface with a popper. Q: With the rip component of the action you create, do you vary the rip for different seasons? GD: Not really, Russ, I usually rip it good. Again, think of them as pops. In really cold water, I won’t rip it as hard as I normally rip it the rest of the year. Speaking of very cold water, there is a misconception that ripbaits don’t work well in water temperatures below 55 degrees. That’s not true. There’s one fishery that’s typically 44 degree water in winter, and I rip them. Q: With the pause component of the action you create, do you vary the pause for different seasons, Gary? GD: In winter, all the prey fish out there are colder, therefore slower. With predator fish, nothing is as aggressive in winter as in spring, summer or fall. Most of the time, I will pause 2-3 seconds and pop it again. Just in winter, I may go slower on the pause – anywhere up to 5-7 seconds. That’s an awful long time for a fisherman to wait! Sit here and count it to yourself now. Q: Do you look to develop a cadence for the day? That is, once you catch a few on a certain sequence of pops and pauses, do you find all your fish going for that same sequence of popping-pausing – or do you catch fish on a diversity of cadences during the day, Gary? GD: That’s a good question, Russ. Once I rip a few fish for the day, I will get tuned into that way of creating a certain retrieve for the rest of the day. Once I’ve gotten results with a certain cadence, I will get into it, and stick with it the rest of the day. It’s the same thing, for example, with a buzzbait. Some days they want a buzzbait slow, the next day fast. It’s a trial-and-error method to begin the day, then you discover what they want from you, and lock yourself into it. Q: Gary, I speak for every reader when I thank you for sharing your insights on ripbaits with us. Are there any other points you’d like to mention before we say goodbye, sir? GD: Ripping is an easy technique, and it can be very easy when bass do not want to feed, but are just acting aggressive. Ripping evokes an aggressive predator instinct. Also, it can be a big fish bait.